Danubius Enterprises Ltd - About myself Hello. My name is Brian Dunajski. 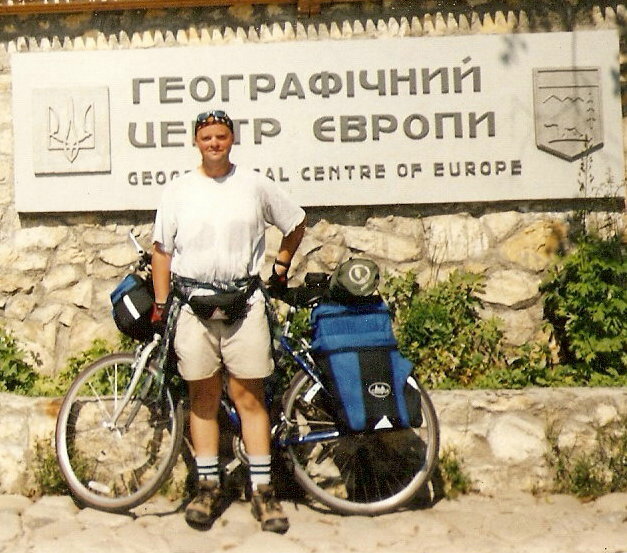 I have travelled extensively in Central and Eastern Europe by motorbike, bike and on foot. I have visited some amazing places and met really nice people on the way.I have lived in Minsk, Moscow, Kiev, Warsaw and Prague. I have cycled some 7,000 km and have seen the real eastern Europe. I have a degree in Russian & Soviet Studies, I have worked as a Teacher for 9 years and as a Director of Studies in a Language School for 4 years. I can speak Russian, Ukrainian, Polish, Czech and Slovak. I also understand Croatian, Serbian and Bulgarian. THE SPAS For the past 13 years I have been frequenting spas in Eastern Europe. It was quite by accident. I was cycling in Hungary in 2000 and stopped at a campsite. The campsite had a thermal pool and everything started from then. It was so nice to have a hot, natural bath after a long cycle. From then on i combined my holidays with spas. It has really helped me with rehabilitation for my spine. The spas are endless. They are central to Bavarian, Hungarian, Czech, Slovak, Serbian and Polish history and culture. .
Hello. My name is Brian Dunajski. I have travelled extensively in Central and Eastern Europe by motorbike, bike and on foot. I have visited some amazing places and met really nice people on the way.I have lived in Minsk, Moscow, Kiev, Warsaw and Prague. I have cycled some 7,000 km and have seen the real eastern Europe. I have a degree in Russian & Soviet Studies, I have worked as a Teacher for 9 years and as a Director of Studies in a Language School for 4 years. I can speak Russian, Ukrainian, Polish, Czech and Slovak. I also understand Croatian, Serbian and Bulgarian. For the past 13 years I have been frequenting spas in Eastern Europe. It was quite by accident. I was cycling in Hungary in 2000 and stopped at a campsite. The campsite had a thermal pool and everything started from then. It was so nice to have a hot, natural bath after a long cycle. From then on i combined my holidays with spas. It has really helped me with rehabilitation for my spine. The spas are endless. They are central to Bavarian, Hungarian, Czech, Slovak, Serbian and Polish history and culture.